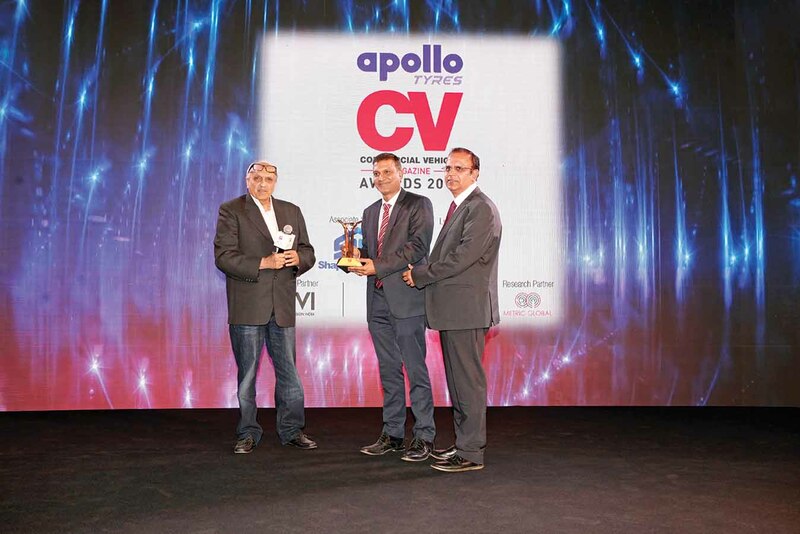 The ninth edition of Apollo-CV Awards (2018) set the bar higher. Held on February 15, 2018, the event broke away from the tradition of having two panel discussions, held at the beginning of the ceremony. 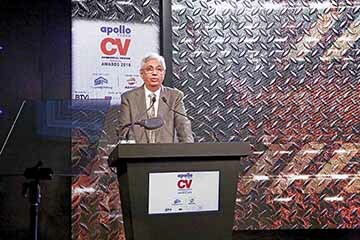 The awards ceremony this year began with a keynote address by Dr. Dhananjay Kumar, Managing Director, Electric Vehicle Program, Thor Power Corporation, USA. 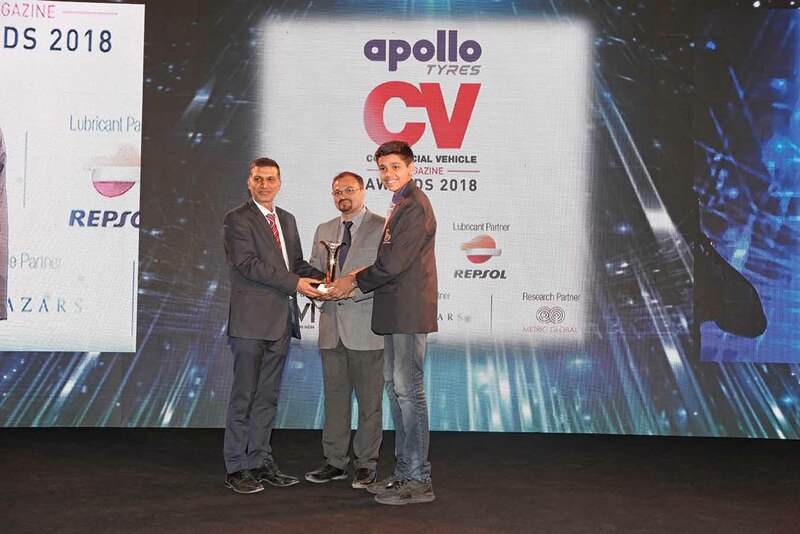 Marking yet another round of resounding success, the awards, held just after the Auto Expo 2018, like the editions prior, received strong support of the CV industry. 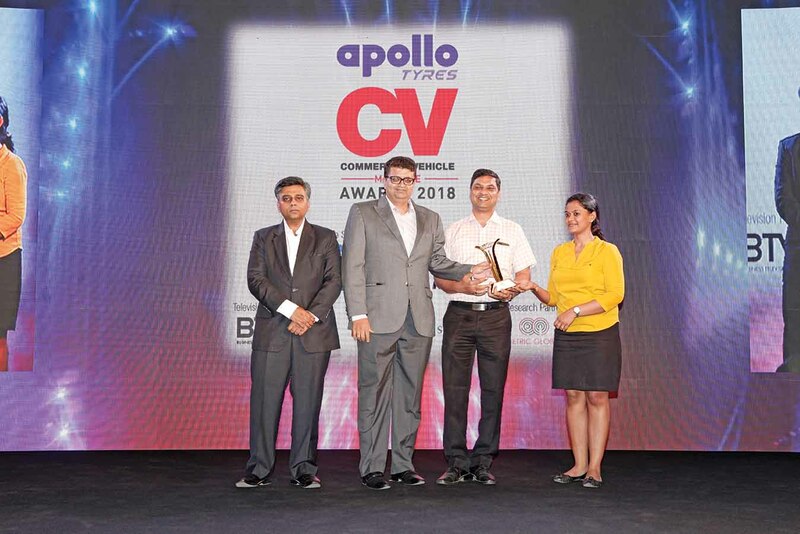 Apollo Tyres, which has been a loyal partner since inception, provided wholehearted support to this edition of the awards as well. Work began with the inclusion of nomination forms in the November 2017 issue of CV magazine. The forms contained a nomination call for both, the fleet side and the non-fleet side. Nomination calls were simultaneously sent to OEMs, CV dealers, application builders and transporters over email and through other forms of communication. With most CV OEMs posting strong sales numbers in December 2018, there was a reason to cheer. There was some reason for worry too. The lingering effect of demonetisation, migration to BSIV emission norms, and the implementation of GST had an effect for CV sales for a better part of the year. The worry was unfounded as sixty nominations rolled in. And, in a short span of time. Over 742 nominations were received on the fleet side. The format for filling the technical specifications and a few other values were mailed to CV OEMs along with the nomination form. This decreased any chance of misunderstanding or error. One CV OEM, to part with certain information, took an undertaking from us! It read that the same would be consumed by the jury members only. 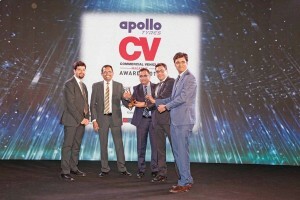 The jury, comprising of Kaushik Madhavan, Director – Automotive & Transportation, Frost & Sullivan; Rajat Kataria, Divisional Head, Marketing – CV (Asia Pacific, Middle East, North Africa), Apollo Tyres; Dilip Chhabria, Founder, DC Design; VG Ramakrishnan, Managing Director, Avanteum Advisors, and Bhushan Mhapralkar, Editor, CV magazine, met in Mumbai on January 18, 2018, to adjudge OEMs (trucks and buses) and CV application award categories. By no means was it an easy task. The non-fleet nominations marked a 10 to 12 per cent rise and reflected upon the changes – undercurrents and complexities, that swept through the CV industry in 2017. 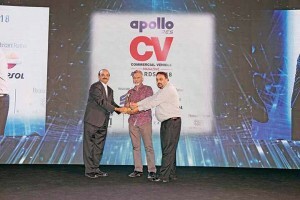 New trends, including the blurring of boundaries between various CV segments, was observed. Also observed was a move towards higher tonnage and new technologies to up efficiency, safety and comfort. If the haulage MCVs nominations seemed to be less, considerable nominations were received in the tipper category. Similarly, good nominations in HCVs, LCVs, pick-ups and SCVs were received. If indicated a shift in tonnage. The CVs that were nominated, reflected upon stark as well as subtle changes. It was tough for the jury to pick up the winners. Especially in the wake of a firm resolve by the CV industry to conquer challenges; to keep moving, and to turn out new, exciting products. Many intricacies evolved during the judging process. Long debates followed; a deep exploration of domain knowledge and experience was resorted to. It was after considerable effort that the results were achieved. They were born out of the consideration for parameters like (a) fitness for application, (b) quality of aggregates, (c) fuel efficiency and driveability (d) option to have a vehicle better suited for the purpose, (e) price, and (f) sales. This was applied to vehicles that were made available during the 2017 calendar year. 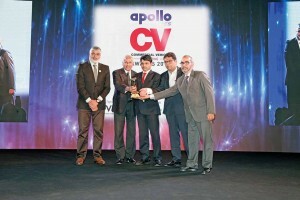 The jury arrived at 25 awards to do justice to all the constituents. The expertise of Metric Consultancy Ltd. was tapped into. To first invite and then vet fleet operator and dealer nominations. Metric dealt with 742 nominations (an increase of 10 to 12 per cent) over a span of three months. These nominations were put through the wringer using the Journey of Excellence parameter derived from the British Quality Foundation. 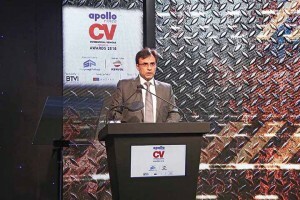 To host senior representatives of the CV industry was a privilege. To watch them interact with the incumbents provided a glimpse of the shape of things to come. The picture (in this section) should provide a fair idea of what happened at the Jury meet on January 18, 2018. On the following pages is a synopsis of the keynote address and the panel discussion that preceded the awards evening. As one may discover, the industry heavyweights did not hesitate to air their views on important issues. Let us get on to the nominations and who won the awards. Nominees: a) Mahindra Supro Minitruck b) Maruti Suzuki Super Carry c) Tata Ace Mega XL. 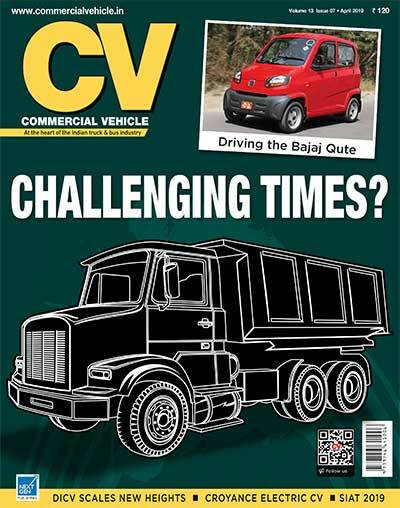 The Small Commercial Vehicle (SCV) segment continues to grow. It continues to evolve and has been addressing the rising aspirations of the buyers and operators. SCVs thus have been addressing the changing needs of the buyers and operators. Changing in form and function, SCVs have begun to invade into the pick-up category. Re-inventing themselves time and again, SCVs are turning into powerful and efficient last mile transport solutions. They are gaining an ability to turn around faster; are increasingly linked to the influx of new technology and design excellence. SCVs, to be precise, are getting as customer-centric as they could. 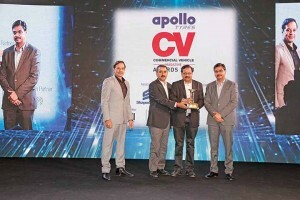 What made the Maruti Suzuki Super Carry win is its ability to help its operator to achieve higher productivity, thanks to a clever design, and an ingenious platform modularity. 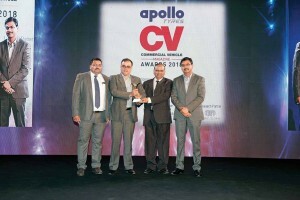 It also won on the company’s ability to provide aftermarket support through a rapidly increasing dealer network. The pick-up truck market is growing. It is attracting the attention of global players. 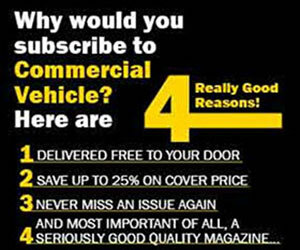 Assuming different dimensions in a bid to address the changing requirements of its operators, pick-up trucks are coming to cater to a well-informed clientele. Making up the one-tonne to 3.5-tonne CV category, they are about fuel economy, payload, speed and price. Found in a single cab, dual cab, rear-wheel drive, and 4×4 guise, pick-up trucks are about business and pleasure. Conforming to owner-operator model, they are promising faster turnaround, and are turning out to be true workhorses. 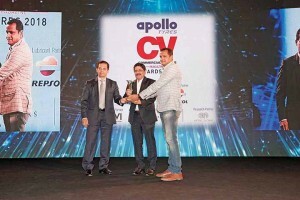 The winner, the Mahindra Bolero Maxitruck Plus, is no exception. Building upon its manufacturer’s experience of making dandy pick-up trucks spanning several decades, the Bolero Maxitruck Plus weighs 2670 kg. 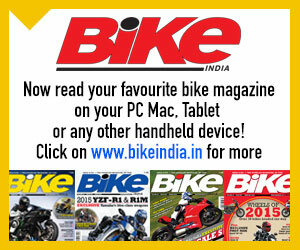 It rides on 195/80 R15 LT tyres and has a 170 mm ground clearance. Powering the vehicle is a 2523 cc, BSIV common-rail turbo-diesel engine that produces 63 hp of peak power and 195 Nm of peak torque. The Bolero Maxitruck Plus truck features engine immobiliser, fuelsmart technology, adjustable power steering and leaf spring front and rear suspension. 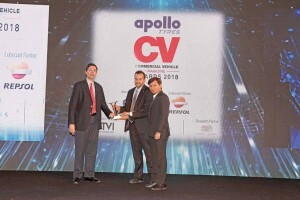 Nominees: a) Ashok Leyland Partner b) Eicher Pro 1055T c) Mahindra Optimo HD. The LCV cargo carrier market saw movement in 2017. A focus of attention by players who have been traditionally strong in the M&HCV categories, the movement in LCV segment signals their high potential. Demand for LCVs continues to rise in-line with the growth in urbanisation. Demand for LCVs is also driven by the further fine-tuning of the hub and spoke transportation model. Continuing to absorb new technology and smart ways of addressing customer demand, LCVs are coming to play an important role in addressing a clientele that is diverse in nature. 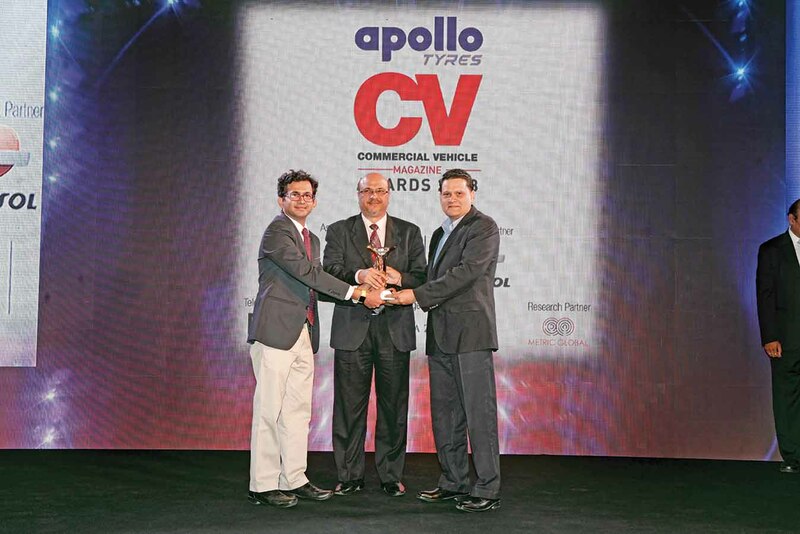 The winner – Ashok Leyland Partner, is a small truck with big cargo space. It is smart, modern, agile and easy to manoeuvre. 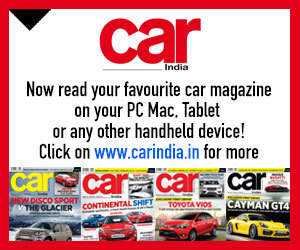 It is powered by a 118 hp 3.0-litre diesel engine mated to a five-speed transmission. Nominees: a) CJ Darcl Logistics Limited b) Lalji Mulji Transport Company. c) Indian Tankers Pvt. Ltd.
As big boys of the logistics industry, they excel in service and operations. They also have a strong balance sheet to flaunt. Always ready to adopt the latest technological innovations or logistical paradigms, they set the standards for those aspiring to make it big in their field. Headquartered at Hisar in Haryana, CJ Darcl Logistics has established 31 years ago. Commencing business with a single truck plying between Delhi and Assam, the company, over time has come to operate pan-India. 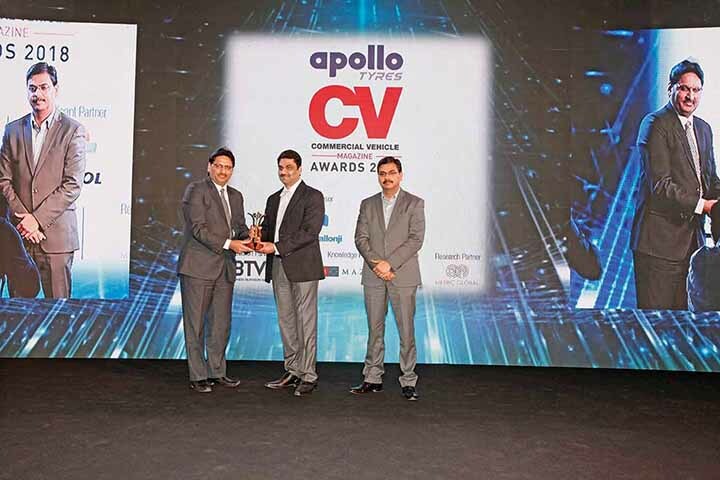 It has expanded its capabilities, service portfolio and absorbed diverse skills to emerge as a leading operator with a customer base of over 2000 companies. Handling wide spectrum of cargo, CJ Darcl Logistics, containing a large fleet of trailers, trucks, pullers, tippers, tankers, container trucks, platform trucks, tractor, loaders, dumpers and hydraulic axle trailers, owned container rakes and containers, is leveraging technology to provide efficient end-to-end logistics solutions. Nominees: a) Sahyadri Logistics Pvt Ltd b) BVM Storage Solutions Pvt Ltd. c) Muskan Logistics. Contrary to their size, small fleet operators have come to acquire exemplary standards in business and operations, inversely proportionate to their size, almost. Often faced with the daunting task of managing their business within limited means, the nominees this year did not lack on any score. Beginning its journey seven years ago, BVM Storage Solutions has been instrumental in providing innovative and value-added logistics solutions to domestic and international companies. As one of the leading warehousing companies with a single window operation, BVM Storage Solutions has come to have a fleet strength of 85 vehicles. Through its fleets, the company provides reefer vehicle movements among others. With five branches and 15 warehouses, the company offers cost-effective transportation solutions. Nominees: a) Ashok Leyland 3718 Plus b) MAN CLA 31.300 EVO c) Eicher Pro 6031 d ) BharatBenz 2523R e) Eicher Pro 6037 f) BharatBenz 3723R g) Mahindra Blazo 37 Pusher Axle. 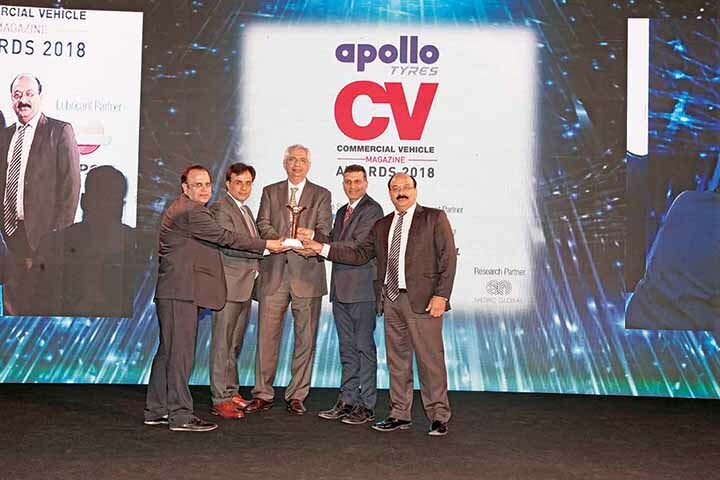 Engineered to be a workaholic – ferrying cargo over long distances, heavy commercial vehicles are staging a comeback in a form that is new, well engineered, efficient and performance oriented. An intrinsic part of the hub and spoke transportation model, heavy commercial vehicles are proving to be feature-intensive and technologically rich. The winner in this category, the BharatBenz 3723R aligns itself accurately with the market demand for higher tonnage vehicles that are efficient and cost competitive. Employing a 235 hp, 6.3-litre common-rail six cylinder turbo-diesel engine, the 3723R has a 37-tonne GVW. The 10×2 configuration of the truck along with its dimensions presents it with an ability to carry more and achieve a faster turnaround time. The engine, developing 850 Nm of peak torque at 1200-1600 rpm, has the truck perform well. Unique is the safety cabin, which is fully built. The other salient points of the truck include clear lens headlamps with DRLs, high strength frame, AC option, and a pusher rear axle. The transmission is nine-speed, and the steering is hydraulically assisted. The 380-litre diesel tank presents the truck with an ability to cover a good deal of distance between refills. HCV tractor cargo carriers are dandy workhorses. Their versatility is hard to match. Capable of ferrying goods that a rigid cargo truck simply cannot think of, HCV tractor-trailers offer better earning potential. The winner in this arena is a volume oriented tractor that has the Tata legacy heavy-duty truck range as the basis. The 49-tonne GVW Tata Signa 4923.S builds on the highly popular Tata LPT/LPK range of heavy-duty trucks. Flaunting a modern cabin with less noise, higher refinement and comfort and sans a substantial price increase, the Signa 4923.S is powered by the familiar 230 hp, BSIV 5.9-litre six cylinder common-rail turbo-diesel engine that does 850 Nm of peak torque at 1400-1700 rpm. Transmission is a nine-speed manual synchromesh unit. With 17.5 per cent gradability in first gear, and 24 per cent in crawler gear with rated payload, the tractor draws from Tata Motors’ long-standing experience in manufacturing heavy-duty trucks. 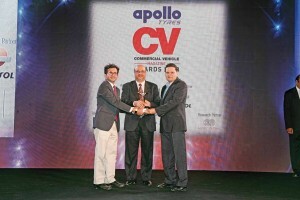 Nominees: a) Kool-Ex Cold Chain Ltd. b) Sheetal Parivahan c) Crystal Logistic Cool Chain Ltd. There is no better way to describe a speciality than to term it as a niche. It is a place for a few and takes a good deal of effort and attention. 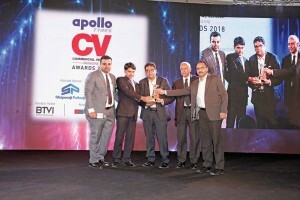 The nominees in this category have not only perfected the art of rising up to a certain standard, they have also managed to excel in their chosen arena. With over three decades of transporting experience, Kool-Ex Cold Chain has come to have a nationwide presence through 100 plus company owned offices and warehouses. With a fleet strength of over 300 company owned container vehicles, 100 vans and 1200 attached vehicles, the company offers one stop solution for cargo handling, transportation, express parcel, cold chain as well as warehousing. The company also offers cold chain service and an express parcel service. Committed to moving cargo in time, and within the city, inter-city or across the nation, Kool-ex Cold Chain provides integrated cold supply chain services and solutions in India with the highest commitment to safety, technology and high level of service and accounting. Nominees: a) Eicher Skyline Pro 3009L AC b) Eicher Skyline Pro Platform. ICV people movers are turning out to be a versatile medium for tourist and staff segments. With impressive engineering qualities and specifications, they are turning out to be modern marvels, capable of addressing emerging market niches. Delivering on various fronts, and in various capacities, ICV people movers are finding application not just as staff carriers, but also as school buses and metro feeders. 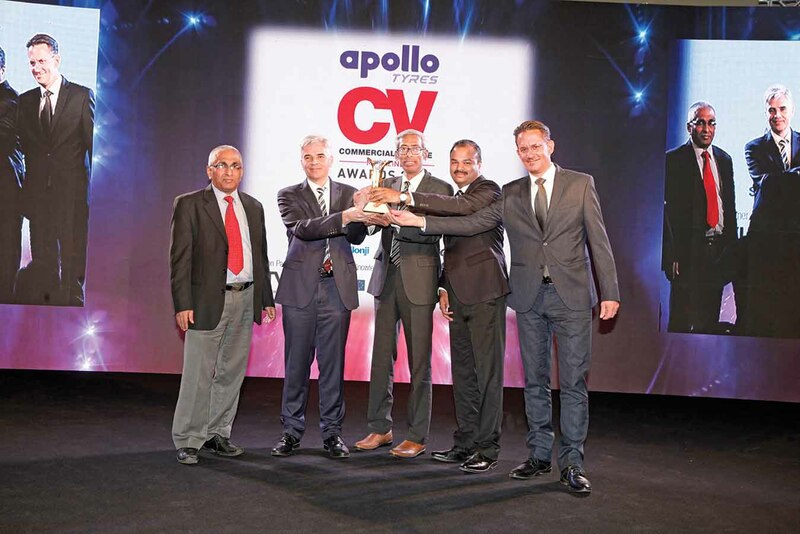 Indicative of the general direction in which the bus industry is moving, ICV people movers are making a profitable business case for the operators as well. The two contenders this year are based on the same platform. 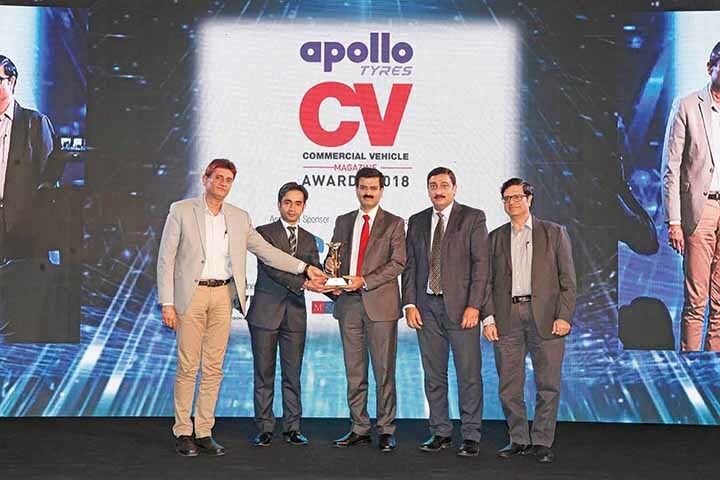 Of these, the Eicher Skyline Pro 3009L AC impressed because of its ability to address the emerging requirements of the segments it is aimed at. Aimed at the staff and school bus segments, the bus weighs 10-tonnes. It can seat 44 people in the staff bus guise and up to 61 in the school bus guise. Scoring high on comfort, convenience and performance, the bus measures 10,395 mm in length and 2,345 mm in width. Powered by a 135 hp, 3.7-litre BSIV common-rail turbo-diesel engine, the bus is equipped with pneumatic brakes. Flaunting good quality of build, and fit and finish, the bus comes with a PVC moulded rooftop, bucket type high headrest seats, seat belts, modular hat-rack integrated LED lights, silicon embedded vinyl flooring and pneumatic door operation. Producing a peak torque of 450 Nm at 1200-1800rpm, the bus, equipped with a six-speed transmission, offers ample glass area, which makes for an airy inside. Ergonomically well engineered, the bus has individual AC louvres. Offered with fuel coach features, the bus comes with parabolic leaf spring suspension at the front and rear. Fuel tank capacity of the Eicher Skyline Pro 3009L AC is 160 litres. 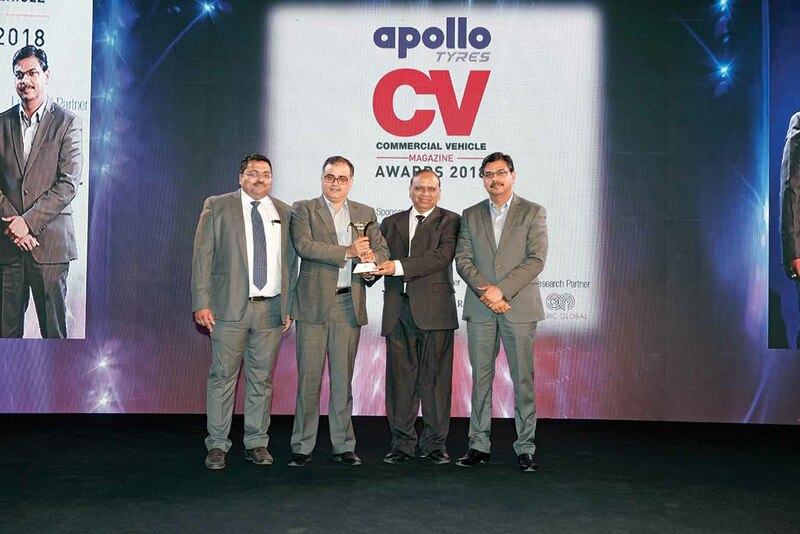 Nominees: a) MAN CLA 49.300 EVO b) Maruti Suzuki Super Carry c) Force Traveller T2 3350 d)BharatBenz 1623 Bus Platform e) Tata Starbus Hybrid f) Ashok Leyland Captain 2518. The year 2017 saw some interesting debuts. Indicative of the future direction of some of the key segments of the CV sector, the promising debuts also reflected upon the changes taking place in the Indian CV industry. Pointing at a burning desire to grow and address the exacting requirements of the operators as well as the end users, the promising debuts this year turned out to be two CVs. One was the MAN 49.300 EVO prime mover in the 49-tonne segment. A part of the EVO range that marked some design and functional improvements to the CLA range that MAN has been offering in India for roughly a decade and half, the MAN CLA 49.300 EVO is powered by a 300 hp, BSIV 6.9-litre MAN D-0836 six-cylinder common-rail turbo-diesel engine. Transmission is a nine-speed unit. Equipped with an SCR-based exhaust aftertreatment system, the tractor, featuring a bell-crank rear suspension, is equipped with an aerodynamic fully-built safety cabin, EVB, ABS, high grade-ability, strong rigid front axle and a hypoid rear axle. The other promising debut of the year was the Force Traveller T2 3350. Marking an addition to the company’s Traveller range, the T2 3350 is aimed at the last mile urban transportation market. It is based on the wider of the two platforms the Traveller could be had. Termed as T2 therefore, the vehicle is a monocoque construction and weighs 3810 kg. It can seat 12 or 13 people and is powered by a 91 hp, 2.6-litre BSIV common-rail turbo-diesel engine that is mated to a five-speed transmission. Featuring leaf springs suspension with anti-roll bar at the front and rear, the T2 3350 is efficient, versatile and offers among the lowest TCO. Flaunting a modern dash and a clear stand-up height of six-feet in the passenger area, the T2 3350 makes a promising people-mover. Nominees: a) Kanker Roadways b) City Services c) M/S Aarya Trans Solutions Pvt Ltd. Bus fleet management has turned into a serious, professional activity that includes equations like yield per seat, online ticketing, life cycle value of buses, in-bus entertainment and fancy bus shelters. Established in 1979, City Services operates 620 buses in the city of Kolkata and the region that surrounds it. Ferrying a good 30,000 passengers every day, the company employs 1352 people, and has adopted modern technologies like GPS, 3G enabled MDVR camera, RFID and more. Providing employment opportunities to underprivileged women in the form of lady attendants for school buses, City Services operates AC school buses in Kolkata among others. Nominees: a) Mahindra Comfio T32 b) Eicher Starline Platform c) Eicher Skyline 10.75H AC Limo d)Force Traveller T2 3350. Rising urbanisation is creating a need for distinct ways of travel. This is ensuring that buses reinvent themselves to fit the exacting needs of travellers. As metros and monorails find a place in India’s growing cities as a means to facilitate better infrastructure, lighter and ‘easy to manoeuvre’ buses are finding a way of serving the last mile transportation needs. They are finding a place as feeder service, point-to-point service, local area service, city bus service and as executive travel service. 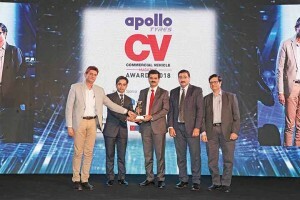 Aimed at meeting the needs of corporates and tourists for executive travel, the Eicher Starline Platform impresses with its ability to be customised for a given application; either as an executive travel coach, staff bus, tourist bus, school bus or as a last mile transport feeder or city bus. Capable of seating up to 29 people, the Eicher Starline Platform measures eight-metre in length and 2160 mm in width. It is powered by a 107 hp, 3.2-litre common-rail engine that is mated to a five-speed transmission. Featuring pneumatic brakes, power assisted steering and semi-elliptic laminated leaf springs suspension at the front and the rear, the Eicher Starline Platform could be had with plastic moulded seats, wider pneumatically operated door, ITS system and a rearview camera. Nominees: a) Eicher Pro 1095 b) Eicher Pro 3014 c) Ashok Leyland Guru d) Tata Ultra 1518 e)BharatBenz 1014R Euro 5. ICV cargo carriers are showing signs of growth. A good five nominations were received this year. A result of the customer-centric approach that is also about blurring the boundaries between segments, ICVs are about technology, image, price and TCO. Part of the ‘hub and spoke’ transportation model that is continuing to evolve, ICVs are set to play an important role. They make modern and versatile cargo carriers that promise better value while being reliable and efficient. The winner in this space, the BharatBenz 1014R Euro 5 truck is reflective of its manufacturer’s pro-active nature. Employing an SCR exhaust after treatment, the truck, with a GVW of 10,600 kg, emits 40 per cent less NOx. Powered by a 140 hp, 3907cc diesel engine, the truck is aimed at urban usage where pollution levels can reach much higher than the stipulated value. Equipped with a six-speed transmission, the BharatBenz 1014R Euro 5 costs the same as a BSIV truck and is modern and highly versatile. Nominees: a) Eicher Pro 5016 b) Eicher Pro 6025 c) Ashok Leyland Captain 2518. The strong and versatile MCV segment continues to grow. It is emerging as a segment that addresses the myriad needs of the market, be it a rigid truck tipper or a special application truck. Capable of addressing a diverse range of applications and customer requirements, the Eicher Pro 6025 drew attention due to its modern construction and an ability to deliver. A medium segment cargo carrier, the Eicher Pro 6025 is indicative of how CV makers are striving to address the changing needs of the market. Powered by a 180 hp, 5.1-litre engine that produces a peak torque of 750 Nm at 1200-1600 rpm, the Eicher Pro 6025 features four-point suspended cabin, an engine protection system, an intelligent driver information system and cruise control. Transmission is a six-speed unit, and the brakes are pneumatic in nature. With a 25-tonne GVW, the Pro 6025 is efficient and offers a high earning potential. 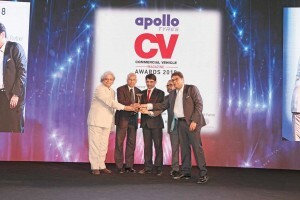 CVs as a harbinger of change need special recognition. Indicative of the future, they are engineered to reflect a modern design approach, technology and a deeper understanding of the change that is taking place in the market. 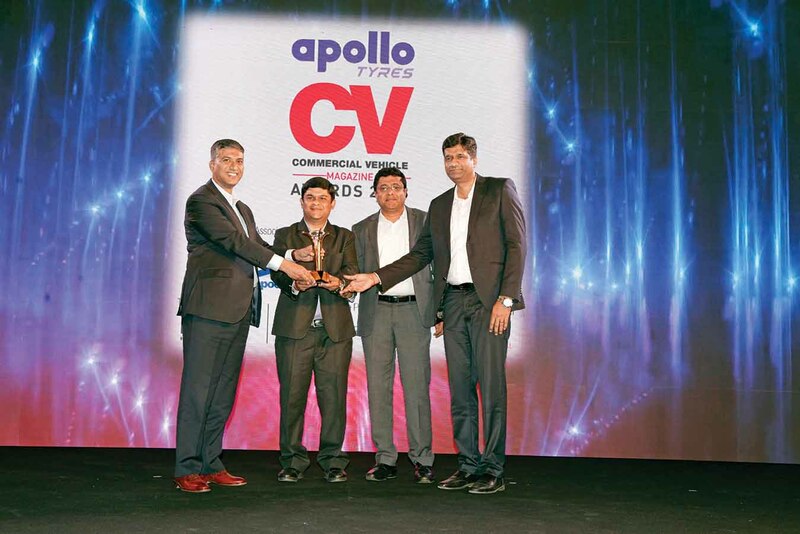 Three CVs were found worthy of special recognition – the Mahindra E-Alfa, Tata Starbus Hybrid and Volvo 9400 Coach. The Volvo 9400 Coach is a 12 m rear-engine premium inter-city bus that was instrumental in revolutionising the Indian bus market. 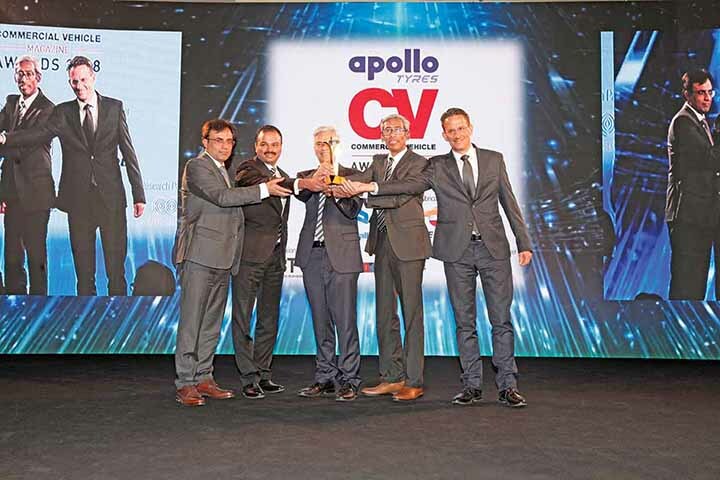 Continuing to lead the premium inter-city coach market, the Volvo 9400 won the special recognition award for its quality, localisation and the travel experience it offers. Powering the bus is a 330 hp, 8-litre BSIV engine that is made in India by VE PowerTrain, Pithampur. The bus body is locally built at the Volvo Buses plant at Bangalore. The Volvo 9400 Coach features Alcolock, knee impact protection, frontal impact protection and front under-run protection. The bus body of the 12 m coach, albeit with a BSVI drivetrain, has found its way to Europe and is claimed to meet the international standards. The Volvo 9400 Coach features dual circuit air-disc brakes and EBS. Tata Starbus Hybrid drew attention as the only series diesel-electric hybrid city bus in India. Powered by a 177 hp, 5.0-litre diesel engine and two electric motors of 90 kW each, the low-floor city bus shares its platform with the Tata Hispano Starbus Hybrid (CNG-electric) bus that is plying in Madrid, Spain. Capable of seating 32 people in air-conditioned comfort, the hybrid bus offers a silent and comfortable ride. Measuring 12 m in length, the Tata Starbus Hybrid has the engine and the electronics located at the rear. The drive is routed to the rear wheels. Offering significant fuel saving and lower tailpipe emissions, the Tata Starbus Hybrid not only looks impressive, it is equipped with regenerative braking, mobile charging points, ramp for the disabled, security cameras, ITS, Wi-Fi, driver controlled infotainment, fire detection and suppression system. 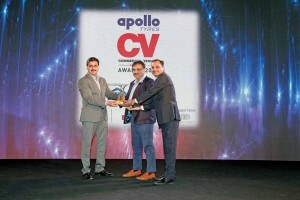 The Mahindra E-Alfa drew attention as the only electric three wheeler nominated this year. Powered by a one-kW motor, the e-rickshaw weighs 758 kg. Not a sorry form of a conventional three-wheeler, the E-Alfa is equipped with a 48-volt 120 AH lead-caid battery. With a charging time of 10-12 hours, the e-rickshaw has an operating range of 85 km. Capable of seating four people other than the driver, the vehicle attains a maximum speed of 25 kmph. Nominees: a) Tata LPK2523 Ultimaax b) Eicher Pro 5016T c) Eicher Pro 6025T d) BharatBenz 1623C e) BharatBenz 2523C f) Mahindra Blazo 25 g) BharatBenz2528C. Medium capacity tippers in the 16-tonne to 25-tonne range make versatile creatures. They are capable of finding work at the construction site; at a highway project, and at a mining site. There are numerous other duties MCV tippers can perform efficiently. They are workhorses that are modern in construction, efficient and capable of living many lives in one. The Mahindra Blazo 25 found favour because of its modern build, world-class platform architecture and competitive pricing. Equipped with a 16 cu. m. (rock or box) body, 14 cu. m. (rock or box) body, and 20 cu. m. (rock) body that offers a 11 to 12.5-tonnes of payload against a GVW of 25-tonne, the Blazo 25 is powerful and fit for tough off-road tasks such as those found at mines. Powered by a 274 hp 7.2-litre six-cylinder common-rail diesel engine that is mated to a nine-speed gearbox, the Blazo 25 is equipped with dual circuit pneumatic brakes. Priced competitively, the tipper features multi-mode to help save fuel when running empty or under partial load. Other features include a smart SCR exhaust after-treatment system, superior pulling capacity, best-in-class grade-ability, and a clutch booster. Nominees: a) Mahindra Jeeto Minivan b) Tata Magic Express. Versatile to the core, small people movers slot between three-wheeled people movers and those that weigh over 2.5-tonnes. Sharing the platform with cargo carrying counterparts, small people movers have evolved over time. Serving the feeder service market, small families looking for budget movers, school children and a variety of other commuters, small people movers are compact, efficient, strong and reliable. The winner this year, the Tata Magic Express is based on the Tata Ace platform. Featuring a full metal body and full-size rear side doors, the vehicle is powered by a 798cc two-cylinder common-rail diesel engine that produces 40 hp. Transmission is a five-speed unit, and the front and rear suspension are made up of parabolic leaf springs. Salient features of the Tata Magic Express include 460-litre luggage space behind the third row, roof liner, grab handles, demister, footsteps, digital clock, mobile charger socket, provision for electronic fare meter and fan. Nominees: a) Volvo FM 460 Puller b) Volvo Tree Transplanter c) Tata Signa 2518.K Boom Pump d)Eicher Pro 1049 Garbage Tipper e) Eicher Pro 110XP Reefer truck. 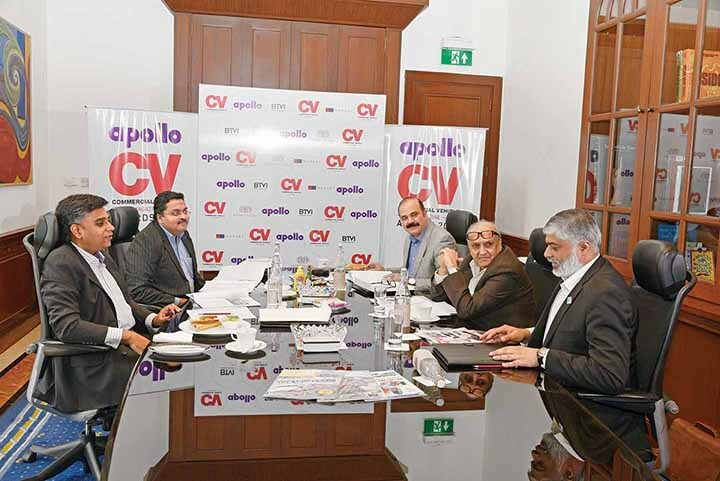 Special application CVs address special needs of the market. They are engineered to perform a task, or a series of tasks, that requires them to be equipped and worthy of the job. Special application CVs are an outcome of an extensive study of their target audience. They are specialised to the core. The special application CV that drew attention is the Volvo Tree Transplanter. It is based on the Volvo FMX 460 8×4 truck platform and moves as well as transplants trees with a tree spade. Mounted on the Volvo FMX 460 truck is thus a hydraulically-operated tree spade that performs the task of uprooting the tree with the root ball. Drastically reducing the time it takes to uproot a tree and transplant it manually, the Volvo tree transplanter is aimed at construction and infrastructure projects where widening of roads or erection of new building can necessitate the shift of trees from one place to another. The survival rate of trees is said to be 75 per cent. Nominees: a) Volvo 9400 Coach b) Tata Magna c) BharatBenz 1623 Bus Platform. Modern inter-city transport systems are the need of the hour. Especially when it comes to addressing the rising need to travel. Exposed to some of the best transportation systems around the world, Indian travellers are asking for more. What better way to address their need than to engineer a bus that is cost competitive, reliable and comfortable. 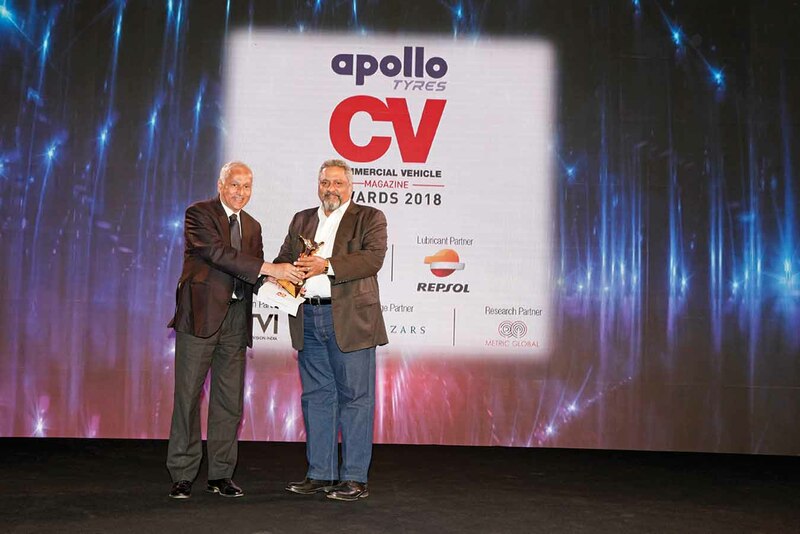 Among the nominations that included a rear-engine premium inter-city bus, and two front-engine buses this year, the Tata Magna drew attention. Its premium looks impressed. Powered by a 180 hp 5.9-litre engine mated to a six-speed gearbox, the Magna can seat up to 44 people in good comfort. With the body built by Marcopolo, the bus, equipped with a G-750 hydraulic retarder with overdrive, contains push-back luxury seats. Air-conditioned, and equipped with pneumatic rear suspension, the Magna brings refinement to front-engine inter-city fully-built bus variety. Nominees: a) Ganapati Carrying Corporation Ltd. b) Reshamsingh & Co. Pvt. Ltd. c) T.L. Logistics. In an era where technology rules the roost, fleet owners have leveraged to their advantage technology, an ability to control costs; seek better operational control, attain good customer focus and excel in the management of the business. Of the three nominations, VRL Logistics stood out because of its ability to utilise technology in the best possible manner, and setting a standard in the area of cost control, operational control, customer focus and overall management. Established in 1975, Ganapati Carrying Corporation, tracing its roots to a modest start with two trucks at Ranchi, has grown to be a company that operates a fleet of over 350 CVs and other equipment. Shifting base to Maharashtra in 2000, the company is setting standards for its practices and the utilisation of technology. 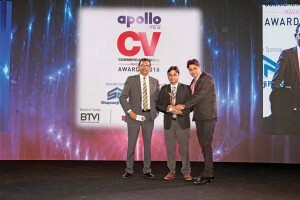 Practices and technology utilisation in the form of purchasing BSIV CVs, fitting GPS devices, employing ERP for paperless operation, monitoring and tracing systems for car transportation, on-time delivery, air suspension trailers, customisation to meet the exacting needs re helping the company to achieve higher levels of cost control, operational control, customer focus and overall management. Moving cargo worth Rs.20 billion per annum, Ganapati Carrying Corporation caters to over 200 customers. It provides service delivery to major cities in India, and guarantees daily dispatches on 30 routes and containerized movement on all major routes. The vision of the company is to be a leading national player by serving blue chip companies. 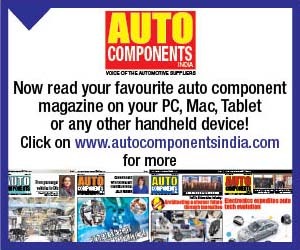 Nominees: a) R S Ajit Singh & Co. (Automotives) Pvt. Ltd. b) Jitendras Autoworld c)P S N Automobiles (P) Ltd. They are the OEM’s interface. 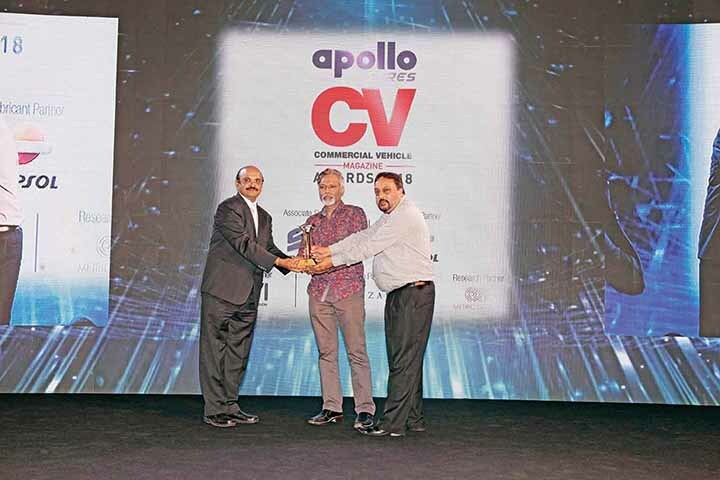 An important element in the CV ecosystem that either conveys a good impression about the manufacturer or otherwise. Left with an amount of operating costs to handle, and in a situation where the needs of the buyers are changing, dealers have to exude much professionalism. They are expected to evolve; respond to market changes quickly, and keep those who look up to them, happy and satisfied. Established in 1922, P S N Automobiles (P) Ltd. is part of the PSN Group that operates trucks and buses in the state of Kerala. Sticking to its values of strict adherence to ethics and sincerely addressing the needs of its customers, the company, as one of the oldest Eicher dealers, has come to gather a large family of loyal customers who appreciate the service and support rendered by this dealer. Nominees: a) Vinod K. Dasari. b) Erich Nesselhauf. 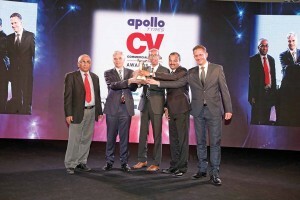 c) Vinod Sahay d) Girish Wagh e) Vinod Aggarwal. Erich Nesselhauf took over as the Managing Director and CEO of Daimler India Commercial Vehicles (DICV) on June 01, 2014. 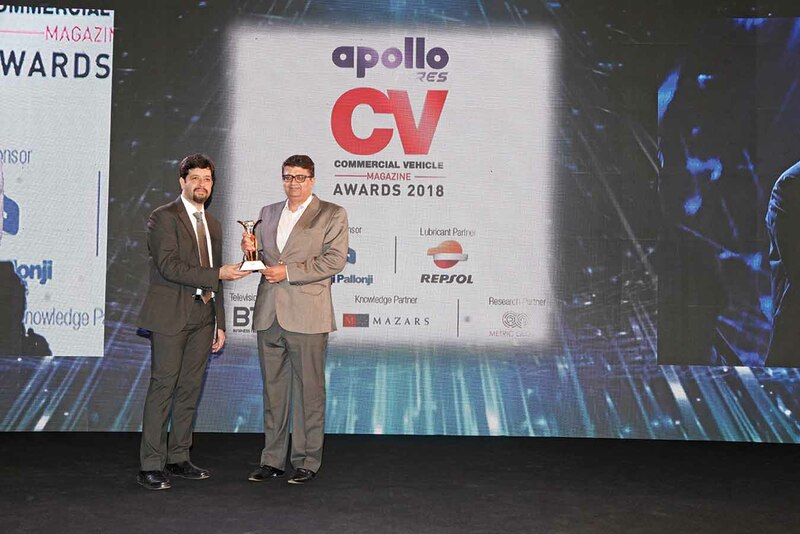 Earlier the Vice President of the supply chain, DICV, he worked on the challenging front of high initial localisation, which would play an important role in the success of BharatBenz trucks in India. A member of the Truck Asia Executive Committee and the Daimler Trucks Asia top management board, Erich has been instrumental in turning many Indian suppliers into Daimler’s global suppliers. Defining and implementing global procurement processes and policies, Erich’s penchant for quality has him wishing that the Indian trucker and operator deserves better trucks to base his business upon. Instrumental in forwarding Daimler’s cause for exporting ‘Made in India’ trucks to numerous markets in the world under the Fuso brand, Erich’s leadership qualities and deep knowledge of the supply chain not only reflect through such endeavours, it also reflects the company’s abilities to meet the requirements of customers, both in the area of trucks and buses. 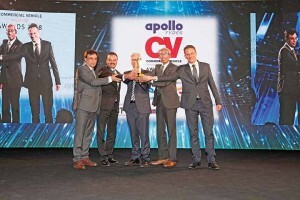 Highlighting a pro-active stand, the company, under the leadership of Erich introduced Euro5 medium-duty commercial vehicles in the second half of 2017. Daimler India Commercial Vehicles (DICV) saw higher growth originating from the domestic market in 2017. 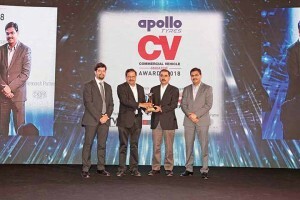 To be precise, the strategy to not increase the price of its CVs despite adding new, BSIV SCR-based technology got operations to look at BharatBenz CVs. Driving past the 55000 units mark in 2017, and investing in new technology and channel development, apart from export commitment, DICV, in 2017, pushed for AC trucks, and smart and efficient buses. 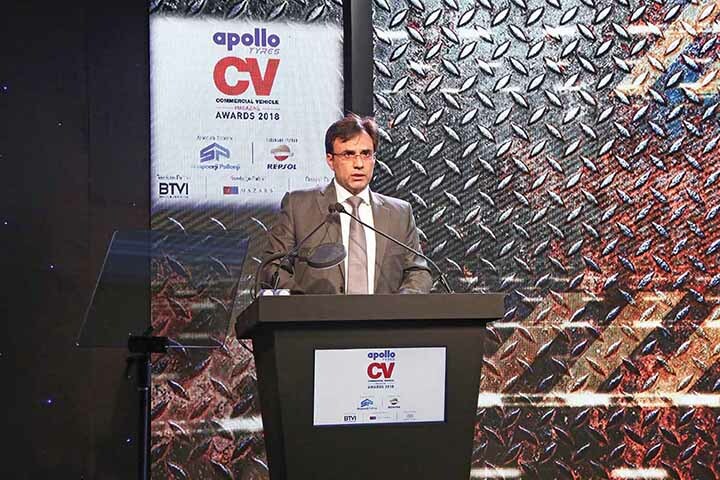 Reporting the highest-ever quarterly sales of its trucks in the September quarter at 4,855 units when compared to the sale of 2,438 units in the September quarter last year, DICV experienced good heavy-duty CV demand in the later half of 2017. In the later half of 2017, the company projected itself as a pro-active entity by launching Euro5 medium-duty trucks with a NOx reduction of up to 40 per cent. Claiming that its order books were full throughout 2017, DICV market share in the nine to 49-tonne truck segment increased to 10.8 per cent during the July-September quarter when compared to a 7.1 per cent increase in the corresponding time a year ago. The confidence to increase the domestic market share at DICV stems from the fact that it is ready to meet any new regulation that may come its way. 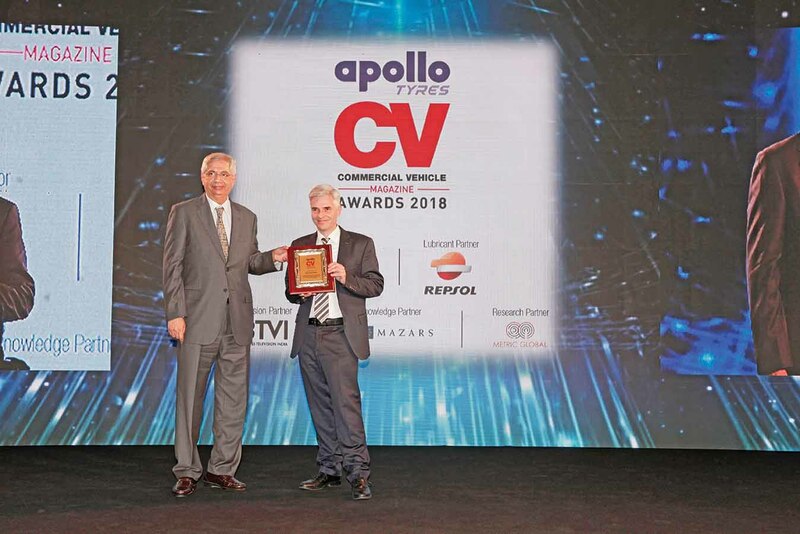 Nominees: a) Maruti Suzuki Super Carry b) BharatBenz 1014R Euro 5 c) Eicher Pro 6025 d) BharatBenz 3723R e) Ashok Leyland Partner f) Mahindra Blazo 25 g) Mahindra Bolero Maxitruck Plus h) Tata Magna i) Tata Magix Express j) Eicher Skyline Pro 3009L AC k) Eicher Starline Platform. Combining tradition, technology and a deep understanding of the market, modern CVs are promising better productivity and gains. 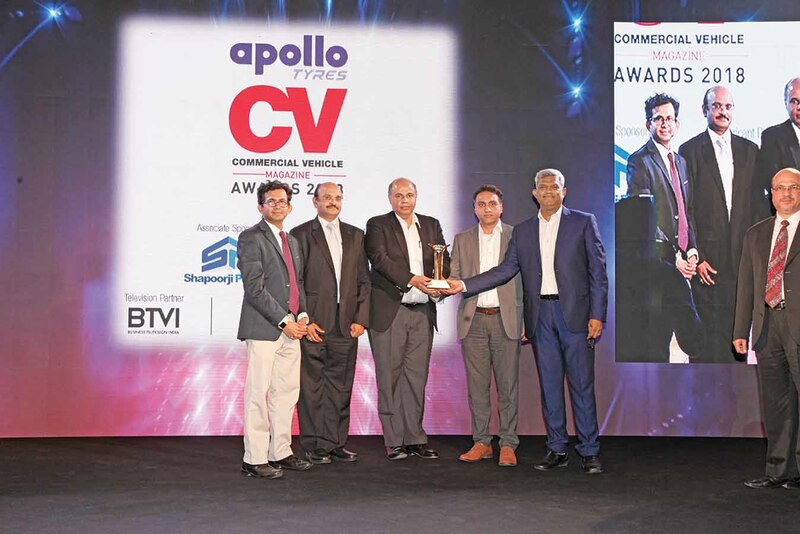 Fitting the bill, the Maruti Suzuki Super Carry made it to the top. 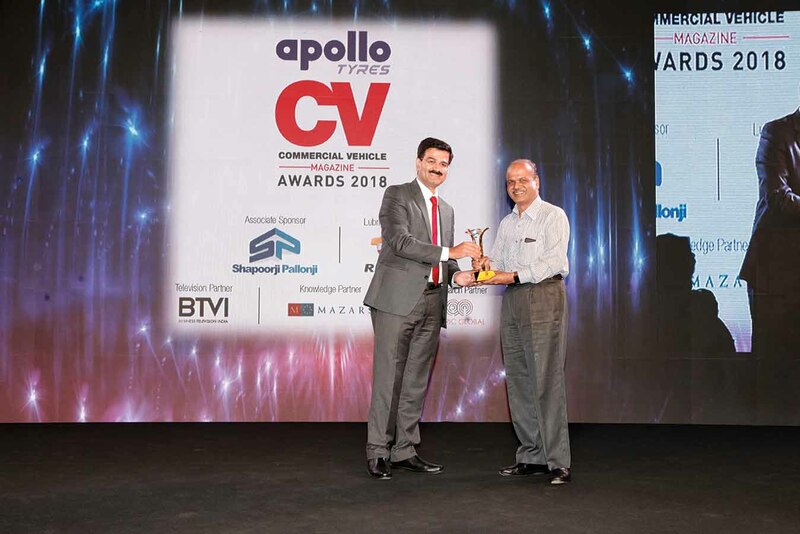 With the potential to address the shifting requirements of its buyers, operators and drivers, Maruti Suzuki Super Carry is carving out a place, albeit at the smaller and lighter end of the CV market in India. Coming from a company that leads the Indian passenger car market with a share of roughly 50 per cent, the Super Carry is set to widen the choice for rural and semi-rural markets where the Tata Ace and Mahindra Maxximo have always been the heavyweights. Leveraging Maruti Suzuki’s reach and an extensive network, the Super Carry, available in diesel and CNG forms, is also carving out a place in the urban transportation world. Especially in regions where CNG is mandated for environmental regions. Modern and with a McPherson strut suspension at the front, where the Super Carry excels is the area of refinement. 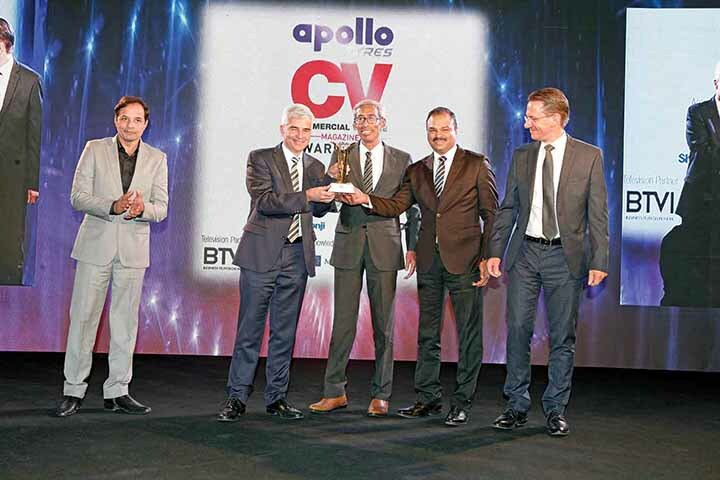 It may be as basic as other CVs in its segment, it impresses with its ability to perform. Versatile the Super Carry is.